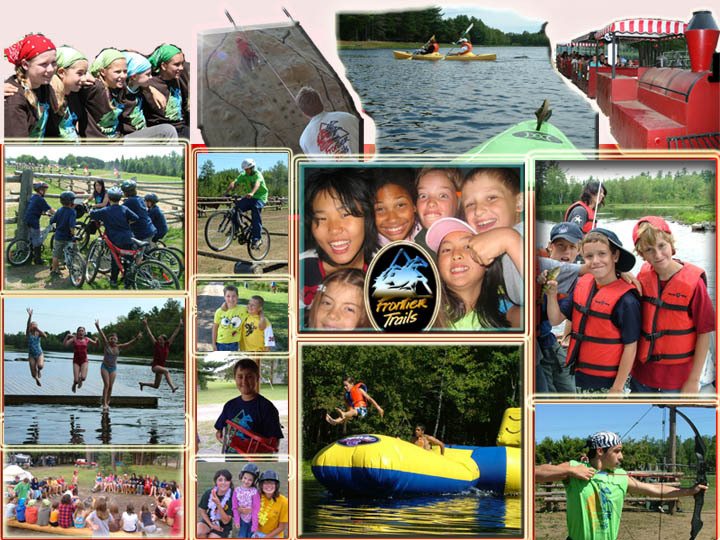 A full and varied slate of fun-filled outdoor activities including swimming, trampoline, climbing wall, off-road mountain biking, tree planting archery, water trampoline, stand up paddle boards, canoeing, fishing, arts and crafts, camping and campfire sing-songs. – Add kayaking, sports, wide Games, pedal boats, train rides, cookouts, Trail rides may be booked for an extra fee. Red Cross swimming lessons are available for $75.00/ week. Guys will have the choice to go on an overnight camp out during the week.